If you spend a fair amount of time emailing from the iPhone, you’ve almost certainly come across a situation where you’ll be writing out an email, but need to get data or information from another email in your Mail inbox. That used to be a challenge, but modern versions of the Mail app in iOS support a really great minimize email feature, which, just as it sounds, allows you to minimize a current email composition or reply, return to the primary Mail inbox screen (and access other emails), and then be able to switch back and maximize that recently minimized email message. 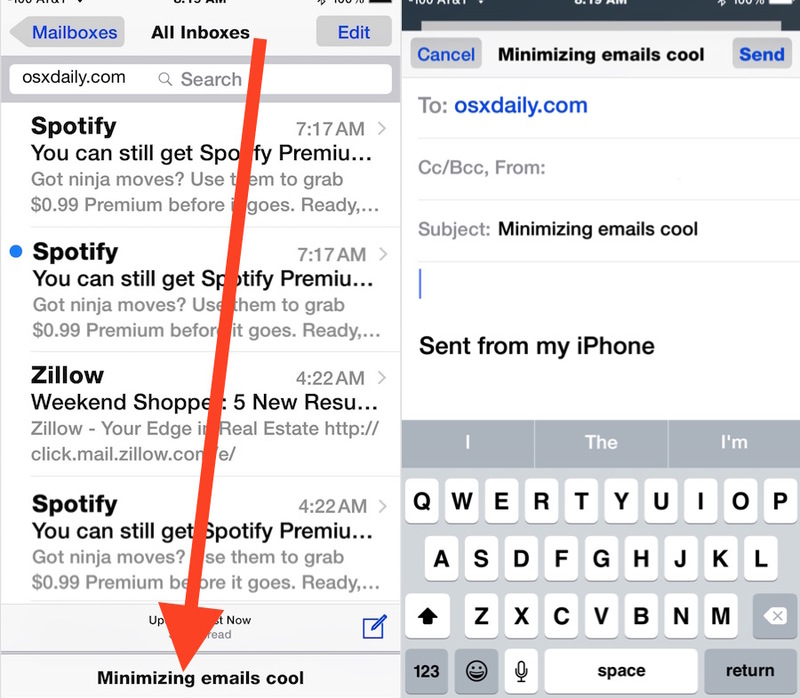 The email minimization feature in Mail app works very well but is not well known, but this is one of those tricks that once you learn, you’ll be using it on the iPhone all the time. This works for new email compositions, email replies, and email forwarding, it’s a really great feature that is incredibly useful to have on the iPhone (just like minimizing is very useful on the desktop). Used in conjunction with the long-tap to open email drafts in iOS Mail app, you’ll be a mobile email machine in no time. 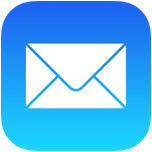 The email minimization feature requires modern versions of iOS, if you don’t have this functionality available on your iPhone Mail app, you likely need to update system software to a newer version. 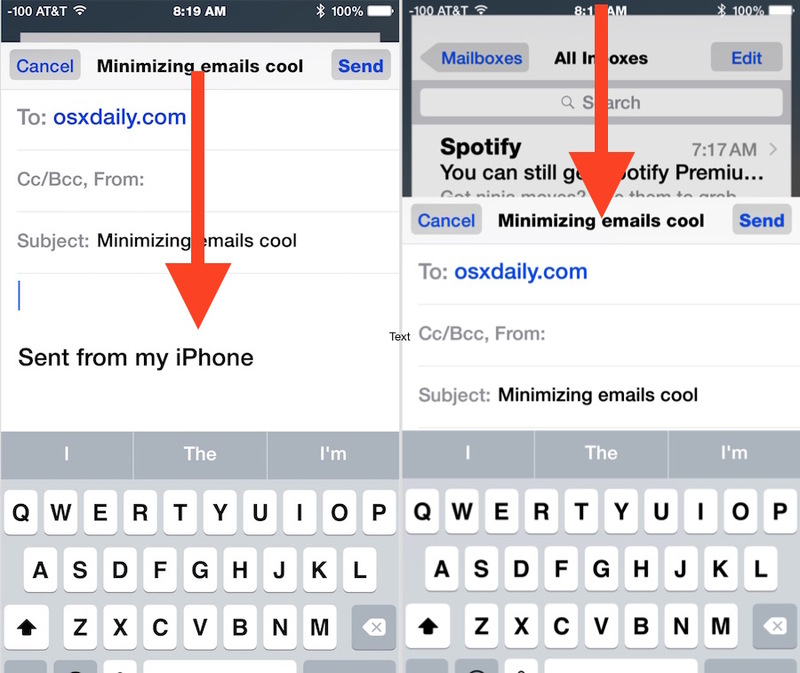 If you enjoyed this trick, don’t miss these 10 Mail tips for iOS, which are sure to further improve your iPhone email prowess. Great feature, I did not know about this. Feels like it was built for iPhone Plus, the best iPhone ever made. Another great tip from OS X daily. These are almost always helpful. Thank you and I look forward to your emails. It does work on iOS 8.3 I have an iphone 5 and an ipad air 1 running it and it works on both. Note that minimizing is only available when composing a new message or a reply, not for the messages in inbox or other email folders. This has made my day – been frustrated by this for so long. Thank you. Thanks a lot this really will help me a lot. I’m surprised that it is little known. They did announce this as one of the new features and actually showed how it works when iOS 8 was introduced in June 2014 at the WWDC. By the way, this feature is also available on iPads. Nice, this will save me loads of messing about, thank you. 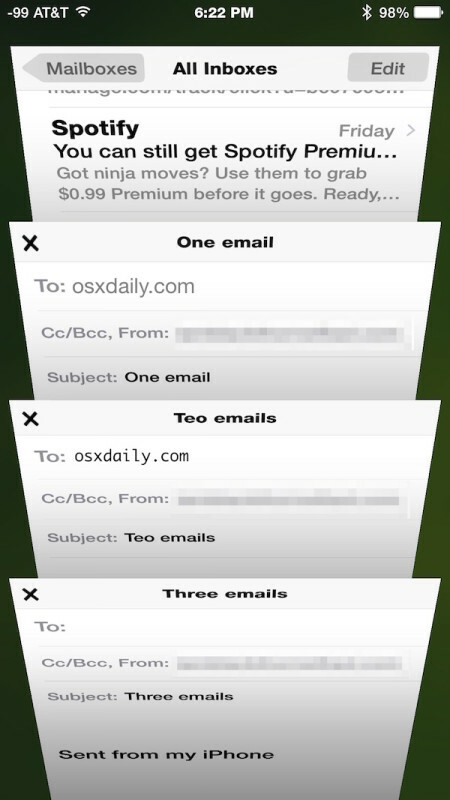 I wish they would bring this feature to Mail on the Mac! I like running my apps in full screen, but if I start an email, and then I need to look at another email, I have to save the message and get out of it to look at something else. That’s stupid. Be warned… This feature is bugged and has cost me to lose several long email drafts to the point that it scares me to use any longer. I’ll spend several hours writing and thinking about an email draft and coming back to it. Then I’ll maximize it to write some more on it and its gone! Once it’s gone, it’s gone. It just happened again today. I didn’t hit any button accidentally or any other mistake. It just wiped the email clear. Ugh.